Bigcommerce provides ecommerce software solutions and shopping cart software for online businesses. 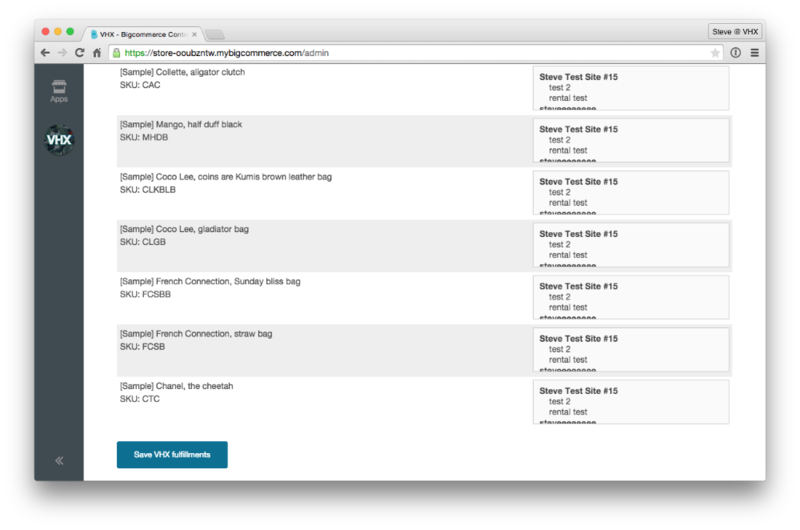 You can now connect your Bigcommerce and Vimeo OTT stores allowing for digital video fulfillment from a Bigcommerce purchase with our Bigcommerce VHX integration. How does selling with BigCommerce & fulfilling with VHX work? How do I install the VHX integration on my BigCommerce store? HOW DOES SELLING WITH BIGCOMMERCE AND FULFILLING WITH VHX WORK? VHX will automatically send an email to the buyer to watch your digital video content (on VHX), and they then have it in their VHX Library. Easy! Each time a customer buys a BigCommerce product that is linked to a VHX Product and is sent video content, it costs you $1 per fulfillment. Sign up to sell with VHX OR login to your existing VHX publisher account. On VHX, make sure you have a Product created and that it's for sale. NOTE: You CAN fulfill with a preorder Product. 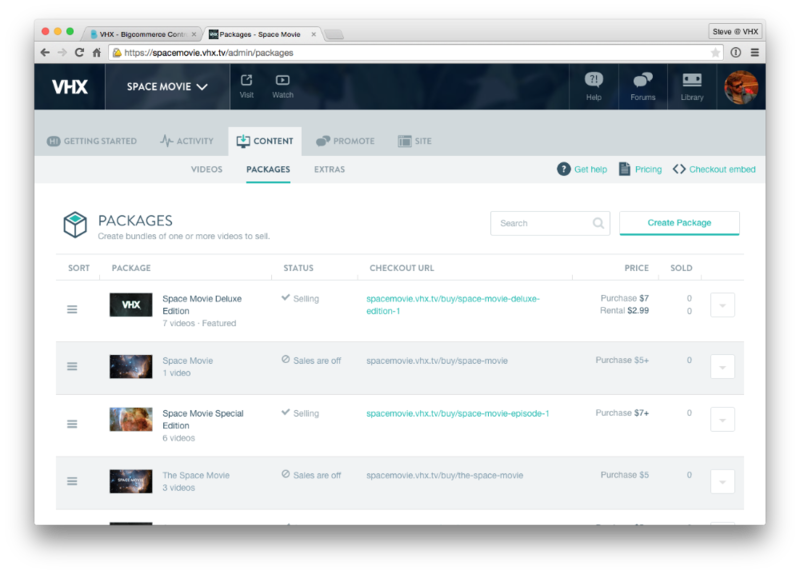 The customer will receive the video content when you release the preorder Product on VHX. Login to your Bigcommerce shop at https://www.bigcommerce.com. 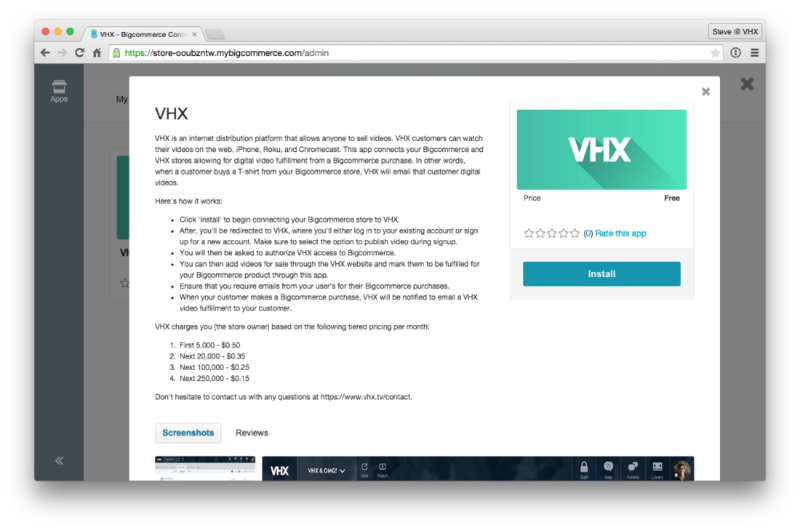 In the Bigcommerce app store, search for VHX and click Install. 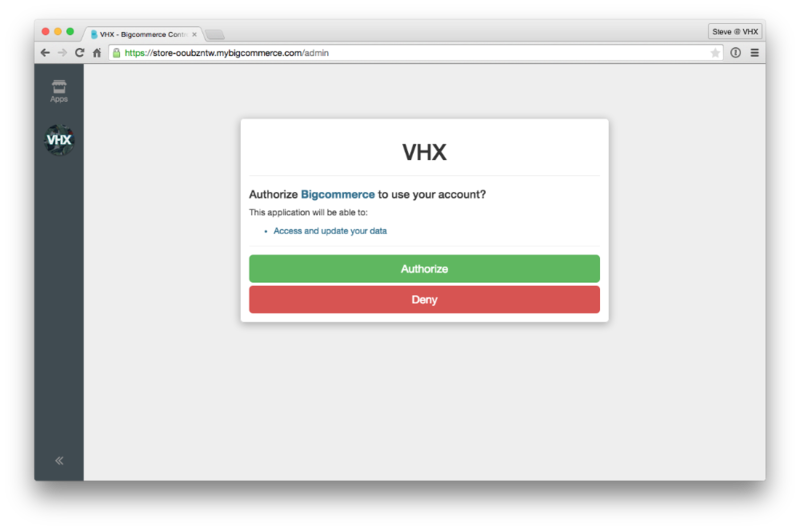 Click Confirm to allow the VHX integration to access your Bigcommerce store. 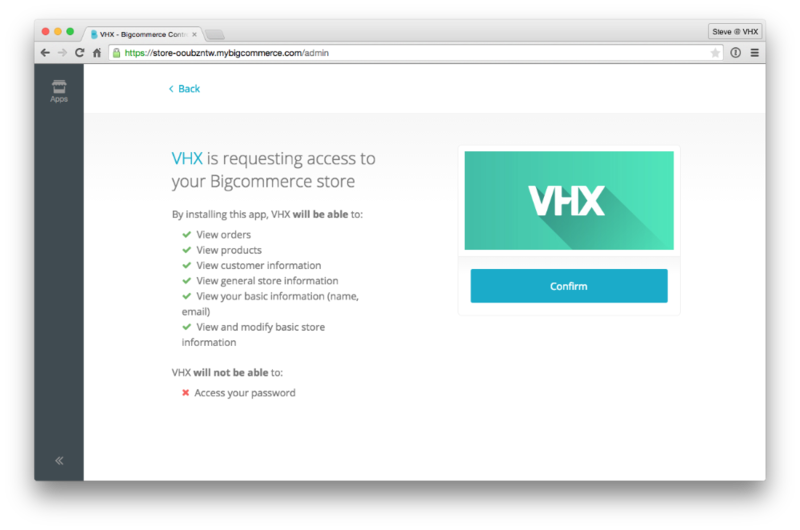 You will then be asked to allow Bigcommerce to access your VHX account. Click Authorize to continue. 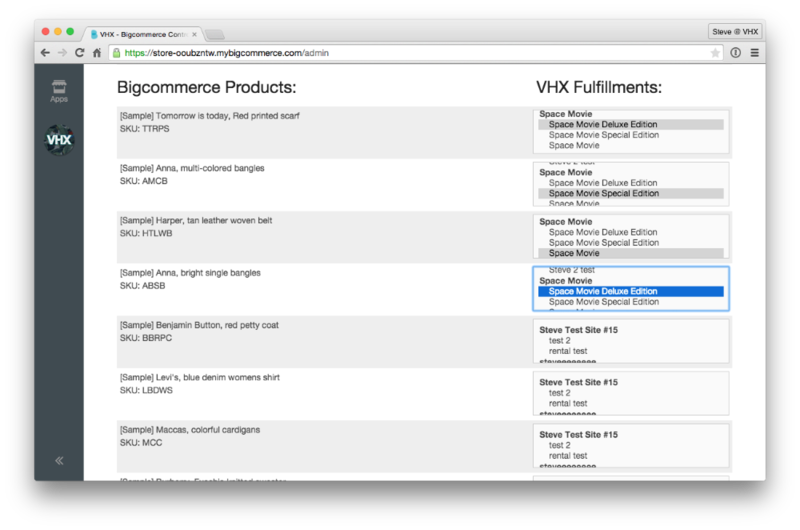 Once authorized, you will see a list of all of your for sale Products on your VHX account that you can tie to your products on Bigcommerce. Next to each product, click which Product the buyer will receive. Once you have selected which Products should be linked to what products, click the Save VHX Fulfillments button at the bottom of the page. From now on, whenever a customer makes a Bigcommerce purchase in your shop (for items that are tied to a VHX Product), VHX will automatically send an email to that customer to start watching your video content on VHX!